We've discussed moringa in length before, but this nutrient-packed food is going to have a moment in 2019. This plant, native to India, Pakistan, Bangladesh, and Afghanistan, is loaded with magnesium, potassium, and vitamin C, and in powder form, it's perfect for mixing into your drinks. Think of it as matcha, but with a sweet, pea-like taste and without caffeine. Move over, almond milk. 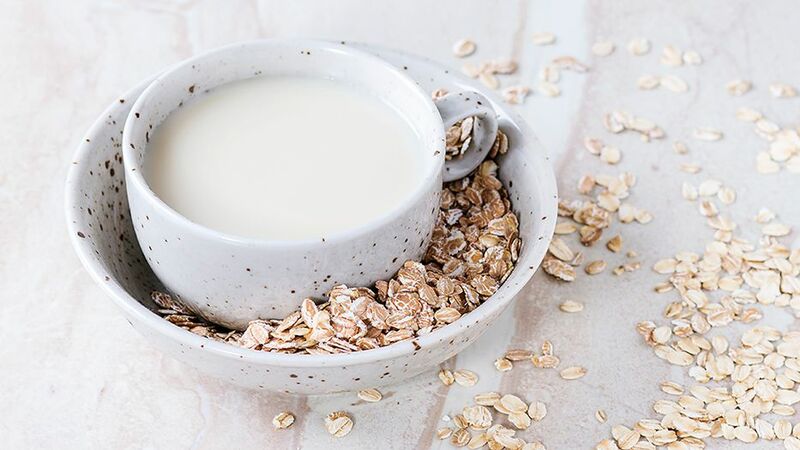 Oat milk is slowly overtaking other alternative milks, and you'll soon be able to find it at your friendly neighbourhood grocery store. Plastic straws will very soon be a thing of the past. Following the footsteps of Starbucks, many other businesses will also be banning plastic straws and ask you to bring your own reusable straw. (And if you didn't bring one? Too bad.) Compostable packaging will also become more and more popular. With legalization taking North America by storm, a number of health food companies are releasing CBD oil and related products. Known for its health properties, the non-psychoactive component of marijuana can help reduce anxiety, assist with PTSD, and more. Be ready to see CBD lotions, soaps, and pills hit the shelves soon. We are already huge fans of meatless burgers, but hey, sometimes you're not feeling a whole burger. Vegetarian and vegan "meat" snacks will be available at supermarkets, like vegan jerky and porkless pork rinds. We're really excited to try out all these trends, but one thing is for certain: healthy eating will never go out of style. With a stronger awareness surrounding leaving a smaller carbon footprint, we're also seeing an increase in people growing their own food. And this is where an Urban Cultivator can help. With a wide variety of microgreens to choose from, you can grow fresh, nutritious, and delicious microgreens in the comfort of your own home. Which trend are you most excited for? Let us know in the comments section below!